Keep up with the latest news from VARSY’S, plus other notable stories regarding Switzerland, culture and events. What an incredible way to start off the new year: we’ve won the prestigious 2018 GOOD DESIGN AWARD®! This award is one of the world’s oldest and most recognized international design awards. 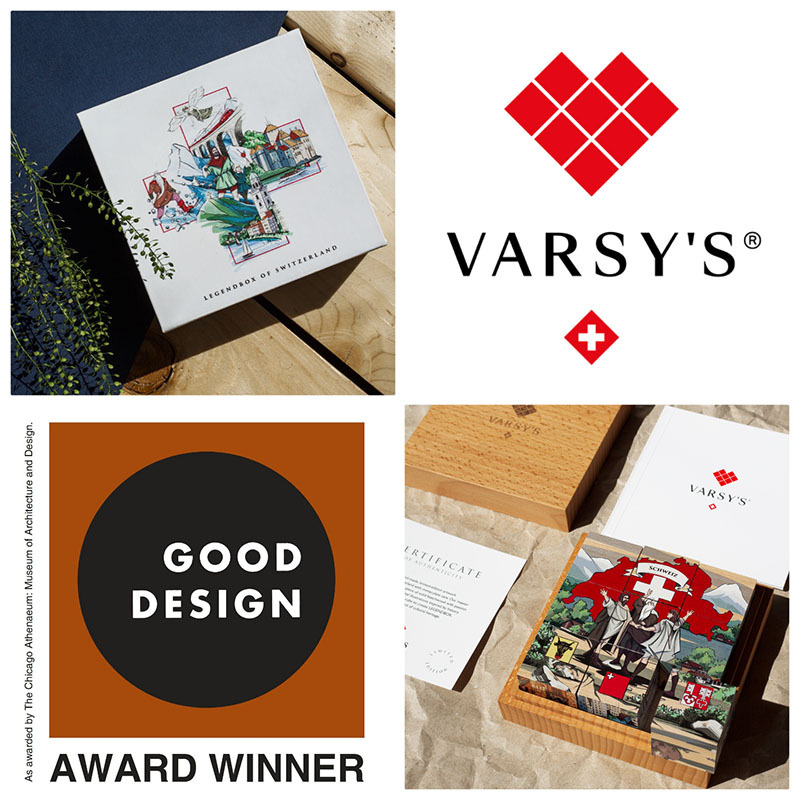 VARSY’S surpassed thousands of applicants from more than 47 countries to win the award for our outstanding design, aesthetics, innovation and enriching value to society. Winners were selected by an international jury of architects, designers and creative directors from the European Centre for Architecture, Art, Design and Urban Studies and The Chicago Athenaeum Museum of Architecture and Design in the United States. Just one year after our legendary launch at ORNARIS in Zurich, we’re looking forward to another successful expo at ORNARIS in Bern from January 13th through the 15th, 2019! Visit us at booth C-23 in the Fresh Ideas and Design area of exhibition hall 3.2 to experience our Legendary Products up close at Switzerland’s leading show for retail design. Dive into the marvelous world of Swiss Legends and experience the extraordinary Swiss quality of our products at our creatively designed booth. We are also excited to announce the release of our new SWITZERLAND ROCKS™ rocking cows, as well as our new ArtCubes™ line of artwork puzzles developed in collaboration with the Picasso Foundation, the Foundation Beyeler museum, and other leading artists and museums. Come have a look! 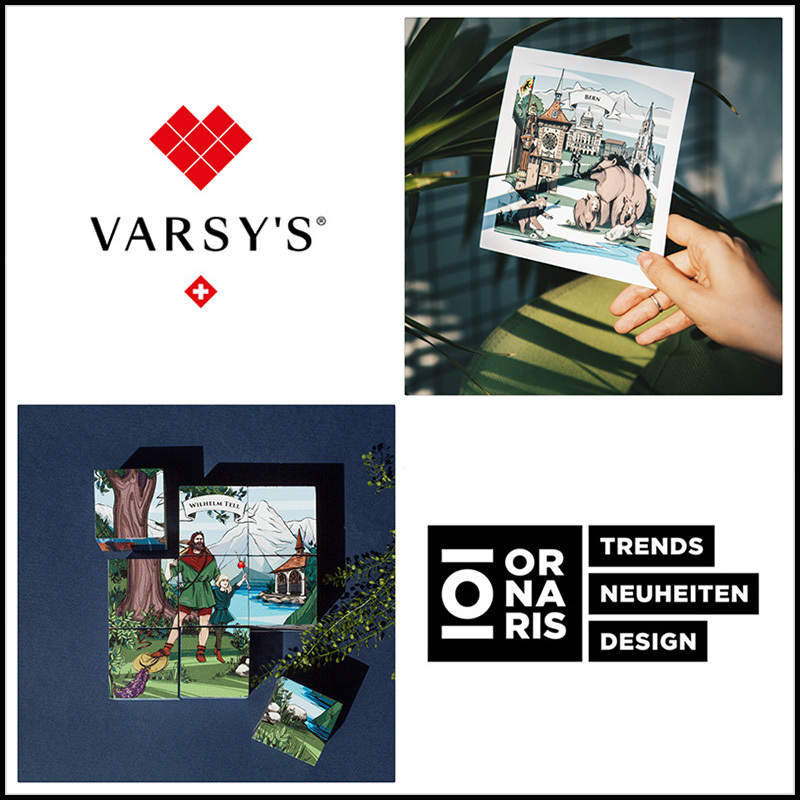 VARSY’S Legends of Switzerland, a young Luzern-based startup dedicated to promoting the myths, legends and culture of Switzerland, is off to a great start. Our eco-friendly and sustainable products allow you to discover and play with Swiss culture and history in new and innovative ways. “Switzerland is much more than just mountains, banks, and watches. The country is full of legends and myths telling us stories of our ancestors, illustrating their fears, their dreams, and their nostalgic love to our country”, says the startup’s founder and CEO, Varsy Buchmann. THANK YOU FOR 5000 INSTAGRAM FOLLOWERS! Wow! 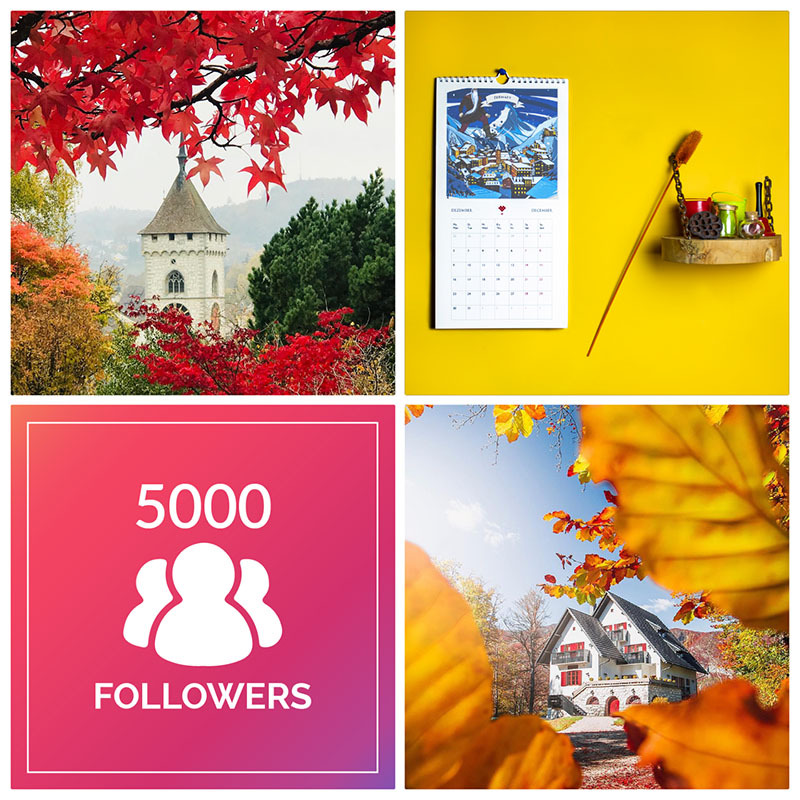 Today we’re celebrating our 5000th follower on Instagram! It’s amazing to be a part of such a vibrant and active community, who shares our love for Switzerland, its stories, and all its beauty. Thank you so much to each and every one who follows us! We’re always interested to hear about any new Swiss legends, cultural events, Swiss festivals and celebrations from all around Switzerland. If you haven’t joined us yet, head over to Instagram and check us out! What an honour! Our legendary products have been selected for O-TRENDS! 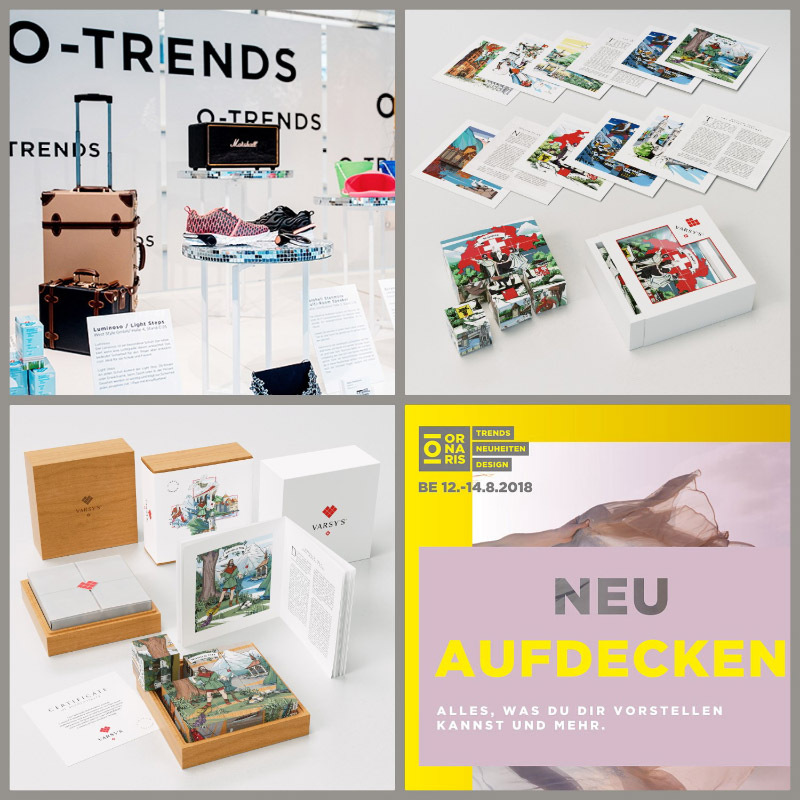 Out of more than 400 exhibitors, only around 15 hand-picked products are exclusively presented at the O-TRENDS special show at the welcome section in hall 2.1 of ORNARIS in Bern. Selected by a special jury, these products reflect the newest trends of the season and have to convince the jury with their innovative concept – and we are one of them! How crazy is that?? We are incredibly happy that the jury appreciates the unique quality of our products, and we would be so happy to see you at ORNARIS in Bern from August 12th until 14th, 2018 at our booth number O-11 in hall 3.2! Meet us at ORNARIS in Bern 2018! After our legendary launch at the ORNARIS expo in Zurich this past January, we’re so excited to be attending the next ORNARIS show in Bern from August 12th through the 14th, 2018! With our products now being sold in 40 retail stores throughout Switzerland, we are looking forward to seeing many new and familiar friends of our project at the show. Visit our booth (number O-11) in exhibition hall 3.2 and experience our Legendary Products up close at THE show for retail design in Switzerland! Dive into the marvelous world of Swiss Legends and experience the extraordinary quality of our products yourself at our creatively designed booth. Enjoy a taste of our delicious Swiss Chocolate, and don’t miss our wonderful newly released products. We are excited to revive and share even more legends from different areas of Switzerland with you until then. We’re looking forward to seeing you in Bern! Thank you for 1500 Instagram followers! Wow! Today we’re celebrating our 1500th follower on Instagram! Thank you so much to each and every one who follows us! We are storytellers and want to use our Instagram to share the cultural heritage, the beauty of Switzerland, and most of all Swiss Legends with our young community of lovers of Switzerland. Our community is completely informal, simply connected through a shared interest and a love for Switzerland. Everyone is welcome to enjoy our beautiful pictures and stories, or to engage in a conversation! If you want to be a more active participant, you’re more than welcome! Tell us about new stories, legends and cultural events from anywhere in Switzerland! Join us in sharing your love for Switzerland to the world! 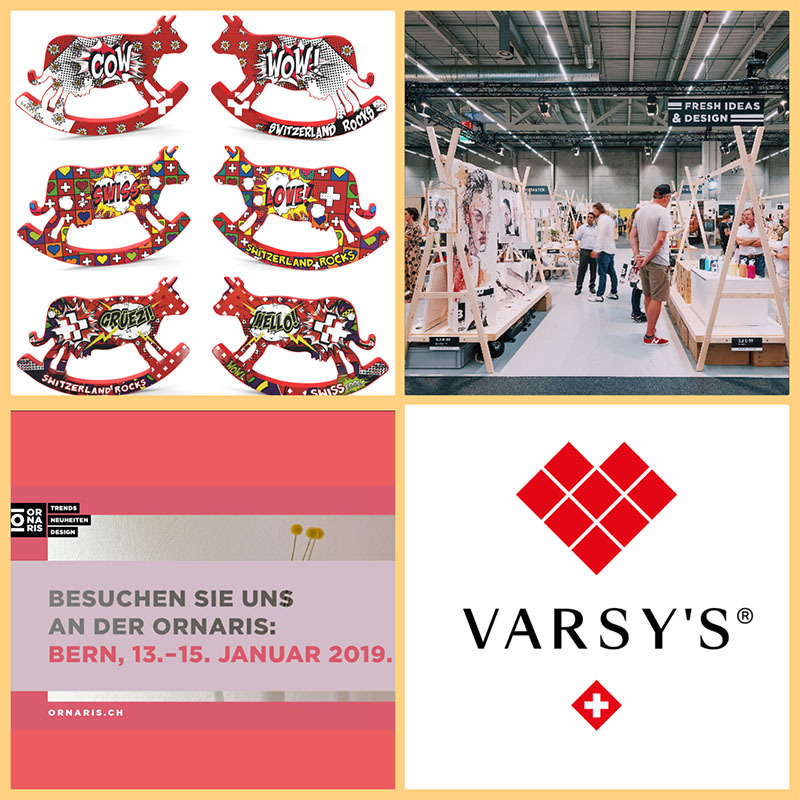 ORNARIS Zurich, 2018 – We were there! 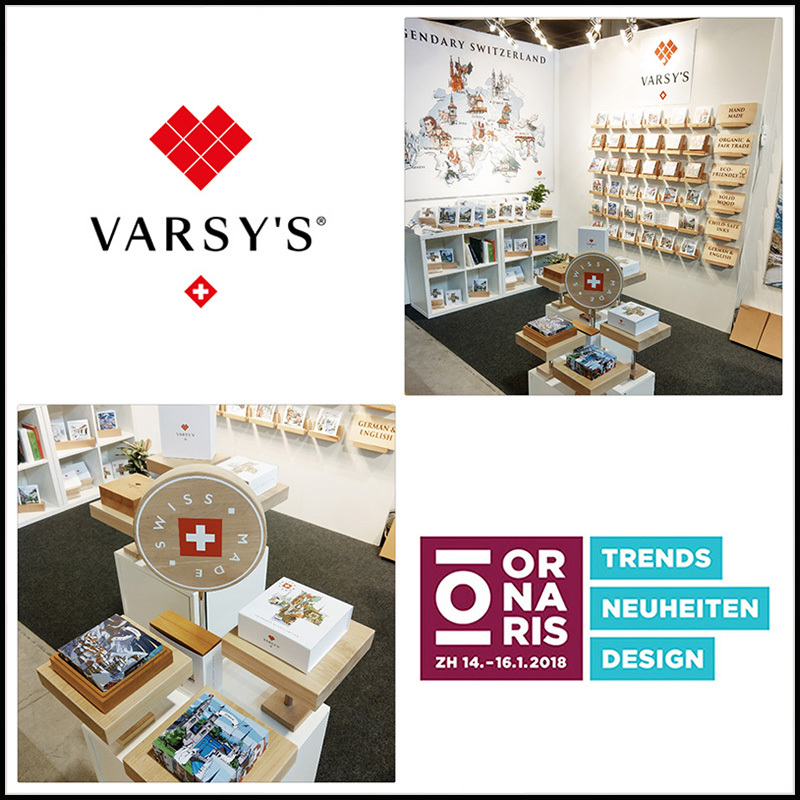 From January 14th to 16th, 2018, we had the opportunity to show our Legendary VARSY’S products at THE show for Swiss retail design: ORNARIS in Zurich! Featuring 29,000 square meters of exhibition, we were one of 450 creative exhibitors at this special fair where we provided visitors with a personal experience of our unique, handmade products. We were especially proud to be featured in the 100% Swiss Made category of exhibitors, since all of our products, including our LEGENDBOX Limited Edition and Classic, our notebooks, postcards, and of course our Legendary Swiss Chocolate are entirely Made in Switzerland! Being featured on the Facebook page of ORNARIS was an honor that showed just how much of an impression our innovative and novel cultural project of Swiss legends has made on the show’s management and visitors alike. We were happy to build new relationships with outlets all over Switzerland, including Orell Füssli, Heimatwerk, and other leading retailers who share an appreciation for traditional Swiss gifts with modern design and true cultural value. We’re excited to announce that we will be attending the next ORNARIS in Bern from August 12th through 14th! Join us and experience our products up close at the next exhibition, or in one of our retail partner stores throughout Switzerland! We look forward to meeting you! We’re passionate about keeping legends alive for our generation and the ones to come.